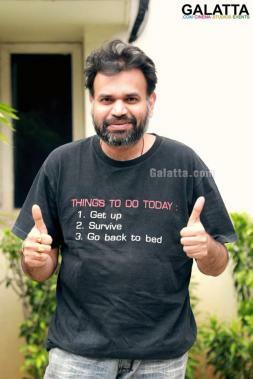 Venkat Prabhu’s multi-starrer Party is no doubt one of the most exciting films coming out this year. 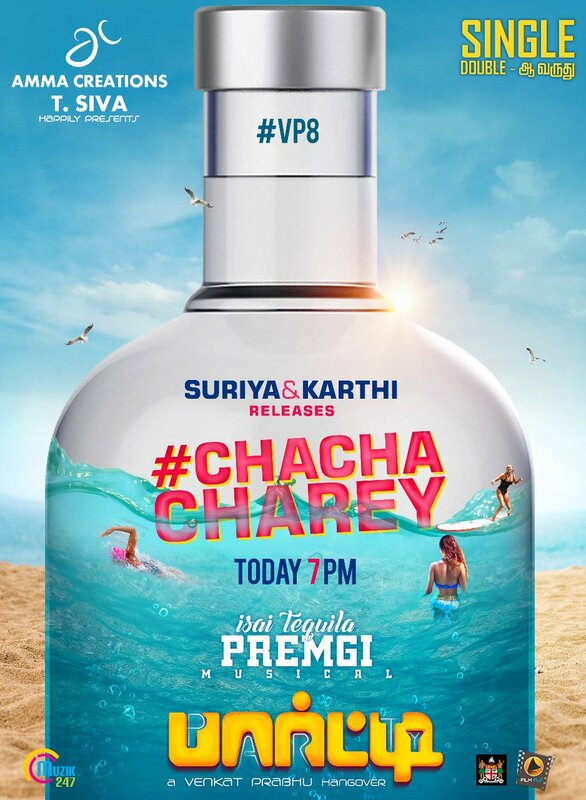 We had earlier today reported a song titled “Cha Cha Charey” sung by Suriya, Karthi, Venkat Prabhu, Premgi and Kharesma Ravichandran will be released today at 7PM. In the meantime, the song was screened exclusively to the press a short while back for which a promo has now been released. As compared to the promo, the complete "Cha Cha Charey" making video song was shown to the press with the biggest highlights being Suriya and Karthi joining Venkat Prabhu and Premgi at the recording studio. Furthermore, the "Cha Cha Charey" making video also featured visuals from the film including few notable stars namely Regina Cassandra, Shiva, Nivetha Pethuraj, among others. Overall, the song has a peppy feel to it and will go on to fetch Premgi Amaren quite a good name for his efforts in the music department. Although the song falls under the EDM (Electronic Dance Music) genre, it ends on a highly pulsating folk note, which will no doubt leave fans wanting for more. Starring Jai, Shiva, Sathyaraj, Jayaram, Ramya Krishnan, Regina Cassandra, Sanchita Shetty, Nivetha Pethuraj, Nasser, Shaam and Chandran under T. Siva’s Amma Creations banner, Party will reportedly hit theatres in August after an exciting teaser came out few months back. >>Anirudh's Next Song Is Out! >>HOT: Party 'Cha Cha Charey' Video Song is Here! >>Party - Kodi Mangani Lyrical Video Is Out! >>EXCLUSIVE: Another Star Join Karthi And Rashmika For K19!